Any believer reading Luke 6.27-36 would probably agree with my personal assessment: Are you serious, Lord? This is incredibly hard! Lord, You will have to help me, cause I sure can’t love like this without you! In the middle of Jesus’ declaration about loving others He gives what is commonly referred to as The Golden Rule – “as you wish that others would do to you, do so to them” (Luke 6.31). It does not promote “back-scratching behavior” – You scratch my back; I’ll scratch yours. It does not promote “pre-emptive behavior” – Do unto others before they do unto you. It does not promote “wait-and-see behavior” – If and when you treat me right, then I’ll do likewise. It does not promote “hidden-agenda behavior” – I’ll do good to you so that I can get from you what I want later. A person living in a coma does not steal, lie or lust and neither does he curse, get angry or start a fight. But, the same person never lends a helping hand, never gives a compliment, never encourages, and never offers a shoulder to cry on. Therefore, the Golden Rule is not simply a command to avoid unfair treatment that you would not want to receive. Rather, it is a command to give the same sensitive consideration to others that you would want others to give to you. How we treat others is not to be determined by how we expect them to treat us or by how we think they should treat us, but by how we want them to treat us. You feel hurt, wounded, broken and could stand a gentle touch? Be gentle with others! You appreciate tact? Be tactful! You enjoy a nice compliment? Compliment others! If you suddenly found yourself in the minority for whatever reason (race, religion, educational status), how would you want the majority to treat you? Then treat the minority the same way when you are in the majority. Do you want people to think and speak well of you? Do the same. Do you want people to be critical and faultfinding toward you? Then don’t be that way toward them. Do you want people to give you the benefit of the doubt? Then give them the same benefit. Do you want to be loved and respected? Give others the same. Do you want people praying for you? Pray for them. Do you want people to tell you the truth? Tell them likewise. Guess what? There aren’t any! It’s not limited to family, but it certainly includes them. It’s not limited to your church family, but it certainly includes them. It’s not limited to God’s people, but it certainly includes them. It even includes your enemies (6.27-30)! Paying taxes enables you to fulfill your public debt. Paying your bills allows you to pay off your private debt. However, your primary debt, loving others, is a debt you never finish making payments! That’s what Romans 13.8 teaches: Owe no one anything except to love one another, for he who loves another has fulfilled the law. A “replica” is a copy or model of something, especially one on a smaller scale. 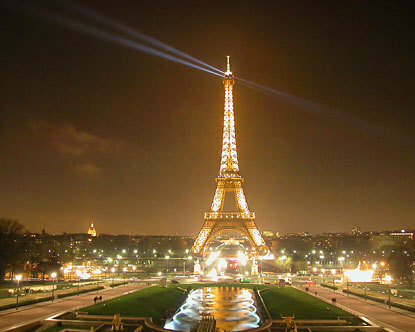 The Eiffel Tower stands 1063 feet in Paris, France. I’ve never seen it. However, I have been to the King’s Dominion theme park in Richmond, VA, which has a 1/3-scale replica. 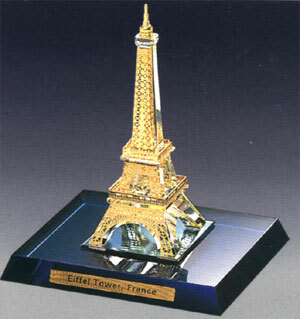 And, I bought a 1000th scale model from the souvenir shop back when I was a kid! When the Golden Rule is merely “replicated” is produces what I’m calling Whoopi-do Love. So, you love those who love you? Whoopi-do! Sinners do that! So, you do good to those who do good to you? Whoopi-do! Sinners do that! So you lend money when there are no risks involved? Whoopi-do! Sinners do that! Bottom line: Golden Rule love (kingdom love) is not everyday, mundane, run-of-the-mill, sinners-do-that-too love! 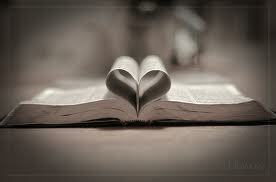 Note: Unselfish, kingdom, Golden Rule love does NOT make you a child of God; it proves you are one (35a,b). There’s the reward of knowing you are being obedient to Scripture and the Lord. There may be the reward of a greater capacity to enjoy Heaven. There’s the reward of being recognized as the sons and daughters of God! When you and I flesh out the Golden Rule we give a “reflection” of our God who wants us to model His treatments of “others” (35c-36). When you look in the mirror do you see a reflection of the Lord and how He loves? Would you steal from your favorite department store? Would you steal your friend’s boyfriend/girlfriend? Would you punch your enemy in the face? Would you at least do bodily harm to that person who hurt you recently or back when you were in college? If you answered “No” to any or all of these scenarios, then why do you mistreat those you love the most? Your spouse, your children, your parents, your friends, your church family members… Because you’ve sinfully assumed you can get away with it. Obviously, familiarity does not breed contempt in the early stages of a budding relationship. In my relationship with my wife the more I got to know her — faults, weaknesses and all (which weren’t very many; I had FAR more!) — the more I grew to love her. My familiarity with her did not breed contempt; it bred a desire to spend the rest of my life with her! How tragic that familiarity, which can initially breed passion and deep love, later becomes the presumed basis upon which we think we can mistreat someone and get away with it. How sad when we subconsciously (or worse, consciously) think, I can treat my spouse however I want to cause at the end of the day, they’ve not going anywhere. Or, I can treat my parents with contempt and they’ll still be my parents when the sun comes up tomorrow. Or, I can mistreat my best friend and they’ll get over it simply cause that’s what best friends do. For believers, we must operate by a different standard! I’m afraid we too often take biblical truth and fail to apply closest to home or even in our home. We let it stay in some sterile, generic form. Take, for example, the “Golden Rule” as found in Matthew 7.12: Jesus said, “Whatever you wish that others would to you, do also to them, for this is the Law and the Prophets.” For a moment, let the “others” and the “them” represent your family members, your spouse and/or children. Apply it to those closest to you. I’m a big fan of “The Princess Bride,” the story of a beautiful young woman named Buttercup who lives on a farm in the fictional country of Florin. 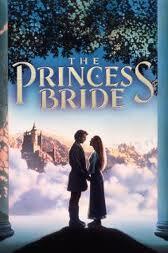 Whenever she gives her farmhand Westley an order, he always answers, “As you wish”. Eventually they fall in love and…well, you’ll have to watch the movie for yourself. Now, let’s escape reality. Let’s do what? That’s right “escape reality” and think like Buttercup’s Westley. Jesus did not say to treat others according to how they treat you. He said to treat others as you wish they would treat you! So ask yourself, “How do I want my spouse to treat me? How do I want my parents to treat me?” Then…treat them that way! You’ll put a smile on the Lord’s face, guaranteed.